A comprehensive fire protection system is the sum of its parts – and understanding each of those parts is vital for anyone involved in managing fire risk, systems or equipment for a building. Fire protection systems can be made up of three key elements: active fire protection (AFP), passive fire protection (PFP) and education. Each component plays a very specific role in minimising the impact of fire, and together the components are essential for developing a complete fire protection system. Establishing an understanding of each component will assist stakeholders’ awareness of the type of fire systems installed and required within their buildings. This awareness may encourage greater consideration of building modifications and maintaining the integrity of fire protection systems. Active fire protection (AFP) refers to equipment or systems that are installed to actively detect and/or control a fire when it occurs. These are typically what people associate with fire protection, for example sprinklers or smoke detectors. AFP consists of manual or automatic components. Manual control usually refers to equipment that requires human intervention to control or extinguish a fire, for example through handheld fire extinguishers or fire blankets. Automatic AFP refers to systems that automatically detect and suppress fires, such as sprinkler systems and gaseous suppression systems. Passive fire protection (PFP) enhances certain components of a building’s structure to limit the spread of fire and is integral to protecting people and property. The concept of compartmentalisation underpins PFP. Compartmentalisation divides the space within a building into individual fire containment areas by using fire-rated doors, walls and ceilings to create barriers that restrict the amount of fire load a fire can access. This helps to limit the size of a fire within a building so that it is manageable for the attending fire brigade. The barriers also help to limit the spread of fire and smoke between floors, adjoining compartments and buildings. The Building Code of Australia and Australian Standards mandate requirements for both active and passive fire protection. 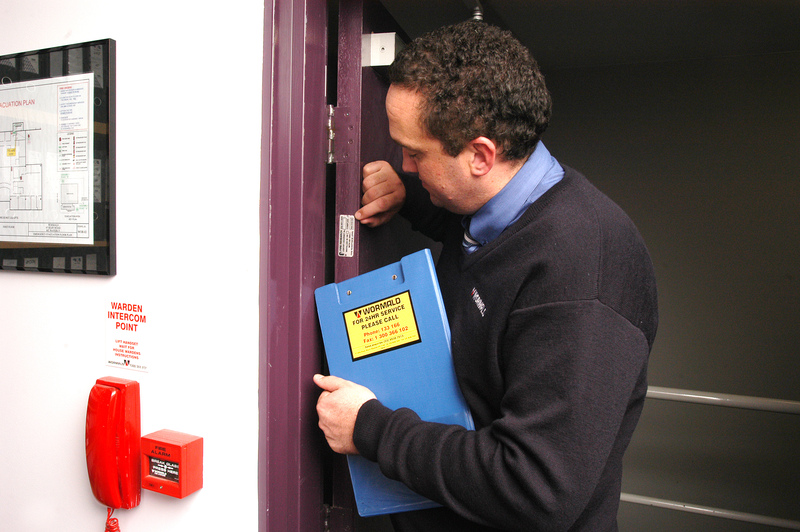 As well as having the correct fire safety systems in place, organisations must consider the importance of staff fire safety training. Training is an essential line of defence in helping to protect occupants against the impact of fire or other crises. It’s well established that the impact of a crisis can be substantially reduced when people are trained to respond appropriately. A confident team that is able to respond in the event of a fire is an invaluable investment for a business and their staff. Fire safety training will also help to ensure that effective plans and procedures are formulated, tested and practiced before the crisis event takes place. Every employee should be aware of evacuation procedures and how to use fire protection equipment so they can confidently manage it in an emergency situation. According to the Australian Standard, AS 3745-2010 – Planning for emergencies in facilities, businesses should develop an effective emergency plan, and emergency related training is a vital element of this plan. For more information on active and passive fire protection and training solutions from Wormald, visit www.wormald.com.au or call 133 166.